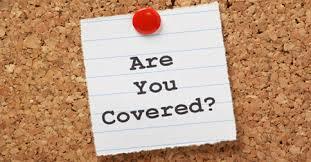 Orlando Avenue Blog » Blog Archive Renters – Are You Covered? Renters – Are You Covered? When you purchase a home, having a mortgage requires you to keep homeowner’s insurance on your property, plus it’s just smart to protect your investment. If you haven’t gotten that far yet and are still a tenant, renters can also purchase a policy that will protect their belongings, which, on average, are valued at $20,000, according to esurance.com. If you’re planning to buy a home soon, protect your possessions now, so in the case you lose them, you won’t have to slow the home-buying process down to replace everything. Remember, too, that homeowners’ policies cover more, and will be significantly more in cost. While you’re saving for your down payment and maintaining your spending, start budgeting for your homeowner’s premium. No amount of money can cover peace of mind.